Learn where the vulnerabilities are, and how to address them. For how-to information on Android application speed and efficiency, see High Performance Android Apps by Doug Sillars. Today’s mobile applications are used for a million different purposes, from social media to online banking. Given the ubiquity of these applications (and the wealth of information that these applications might contain), it is understandable that hackers might try to find weaknesses in your mobile application to steal company (or customer) data. In this article, we are going to look at techniques that hackers might use to tear apart your application for vulnerabilities, data and code. In order to protect your application (and thus your company and its customers), you have to “know your enemy” and discover if your application is vulnerable to attack. We'll look at ways to defend your app from these common vectors. Today’s smartphones provide an entirely new set of data about each user. When I think about personal information, I initially think about location—since your phone is on your person, it knows everywhere you have been. But your phone knows so much more. Android devices can report the other apps installed, and thus know your bank. They can report all your contacts, your email addresses and more. As an Android developer, your application can have access to this data, and it is likely that your customers do not want this information disclosed. Potentially, your app has proprietary code that your company does not want disclosed. In my book, High Performance Android Apps, I discuss ways to speed up your application and to prevent crashes. An additional aspect of performance is the elimination of data leaks. Data leaks have the potential for erroneous credit card charges, stalking, or even identity theft. Should critical company code or algorithms become publicly known, your company could lose its competitive edge in the market. Ensuring that your customer's and your company's private and personal information is properly secured is an aspect of performance not to be shortchanged. Reports come out regularly on the security vulnerabilities in mobile banking apps, dating apps, etc. The old adage that "any publicity is good publicity" probably does not hold here. When you think of the worst press your application could get, you're probably thinking outage. But what if you accidentally exposed thousands of credit card numbers? Or made a mistake like one airline recently did, modifying their app URL which allowed fliers to access other valid boarding passes? The app performance implications are huge. This IBM-sponsored study also stated that 73% of the developers felt that they did not have enough training to perform secure coding practices. So, let’s start to figure out some of the basic vectors that hackers might use to get information out of your application. Ethical hacking or "know your enemy"
Note that the attack vectors in this article are simply an introduction to defending your mobile app. 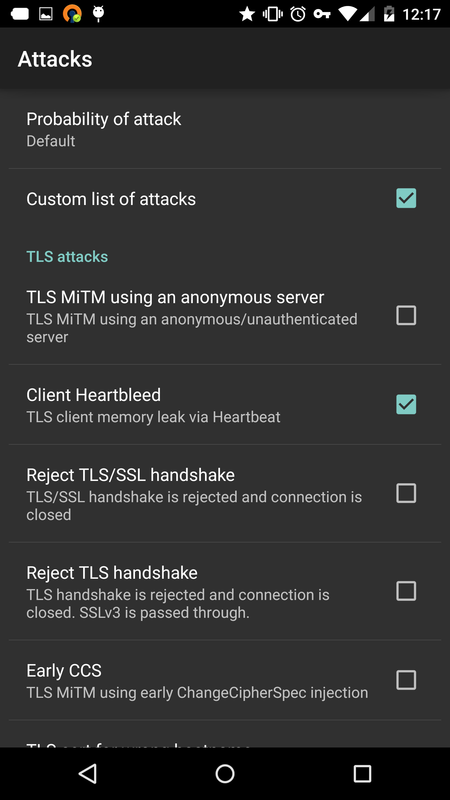 These are perhaps the most common attacks to penetrate your application (and as you'll see, a number of apps in Google Play today suffer from these issues). Just as customers want mobile applications that are performant and fast, there are indications that smartphone users are getting worried about what mobile application developers are doing with their data, how it is being stored, and how it is protected. And they have reason to be concerned. Hardly a week goes by without warning of malware, or security breaches on mobile or elsewhere. Three days before the 2015 Super Bowl, it was announced that the NFL Mobile application was sending customer login and password combinations over the air via HTTP (meaning unencrypted and in cleartext). Just a week later, IBM reported that 60% of all dating applications had security concerns and were not holding customer data in a secure fashion. Often it is the simple things that cause the biggest pains. In 2014, Target lost 40 million credit card numbers, and it could have been prevented with simple malware detection and cleanup. So, let's start with easy ways to secure your application. There is a lot of documentation about Android permissions, and how they work, so I won't go into a lengthy description here. The five-second elevator conversation on what Android permissions are goes like this: Your Android application runs inside a unique sandbox that protects it from other applications, but the sandbox places limits on what it can do on the device. If you want your application to do things outside the "sandbox" (like vibrate the phone, use the camera, or connect to the internet) you need to add these permissions to your application (and anyone who wants to use your app must approve these permissions prior to install). 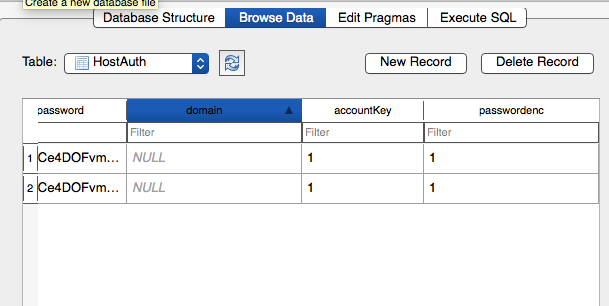 When debugging your application, logging pertinent details is a great way to track what is going on in your application. However, it is possible to leak data in the logs. Prior to Jelly Bean, all applications had access to read debug logs on the device. On all devices, simply connecting a device via ADB and running adb logcat allows anyone to read the logs of any application running on the device. The analytics provider in this case is reporting all of its actions in the log. We can see that preferences are being changed in the first few lines. When I start this application, Google Cloud Messaging (GCM) is established to send push messages about my flight. The analytics provider receives this ID, sends it to the log stream, and then updates preferences. I have redacted the GCM registration ID, but having access to this value would allow communication back to the server. Google specifically states in its GCM documentation for Android that this ID should be kept secret. to the Proguard-project.txt will remove all logs from your production builds. Doing this removes the possibility of any data inadvertently leaking through your debugging tools. As soon as people begin downloading your app from the storefront, you must assume that none of the files or code in your application is safe from prying eyes. For customers looking to find vulnerabilities in your app, simply installing and using it on a rooted device gives them access to all of the app files. Your APK can be pulled off of the device and de-compiled. Let's break down these attack vectors, and ways to prevent (or at least dissuade) hackers from getting the information they desire. Your application has a protected local storage area that can be used to keep local files on the device. These files are stored in /data/data/<yourappname>/, and are generally not visible to the end user. Rooted phones give users full access to your sandbox. But even users on stock devices can get at this data, and investigate it. When customers run a backup of all their apps, a file is created that contains all of the saved data from each application, and the backup is stored on a computer. Gaining access to a phone (or a backup of a phone) is a great way to see all of the user’s data in one place, and depending on how your application saves data, these backup files can be used to extract vulnerabilities as well. Backing up your data. It is the mantra we always wish we had followed after a catastrophic data loss. On a smartphone this could be losing your phone, or simply dropping it into a sink (or other ceramic water receptacle). Luckily on Android, creating a backup is fairly trivial, and easily automated. When you backup your apps, all the data associated with those apps is also saved. This is great for getting back up to speed quickly, but let's also look how a hacker might use a backup to gain access to your customers’ data. This will create a backup of all your applications. If your phone is encrypted, you may have to password protect this backup. In a few minutes, this will complete, and you'll find a "backup.ab" file on your computer. To read the files in your backup, you'll need Android Backup Extractor. Follow the build instructions (download Bouncy Castle), and if your backup is encrypted, you'll need to help Java decrypt by getting the Java Crypto Unlimited Strength Jurisdiction policy files. Run this tool, and you'll get a directory with all of the applications and corresponding app data. You can disable backup of your Android app in the manifest by adding android:allowBackup="false" to the application manifest. This does not prevent rooted access to the files, and could inconvenience your customers who are recovering from accidentally “flushing” their phone. Let's take a closer look at the files that are collected when we run a backup of an application. In the screenshot below, there are directories for databases, files, resources and shared preferences. Let's take a look at each of these, and how they might be used to gain information to attack your app. Let's start at the easiest point of attack: database files. 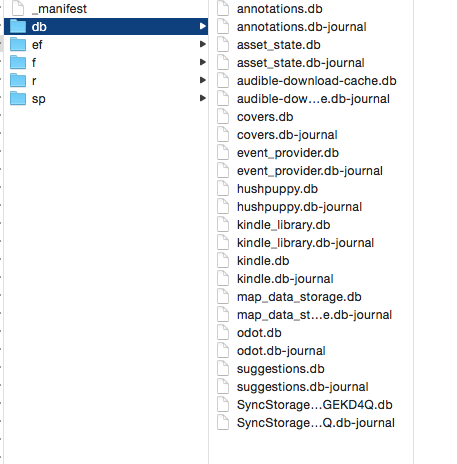 In the above figure you can see the list of the databases that are stored by the Amazon Kindle application on my device. Because Android uses SQLite to store data (typically user information), these databases are not secured by default. Once you have the app files on a computer, any data stored in those files are open for observation. It is important to know that login information, tokens or other critical customer data should not be stored here without some form of encryption. (In fact, as we will see, storing any token or key is not safe to store locally anywhere). 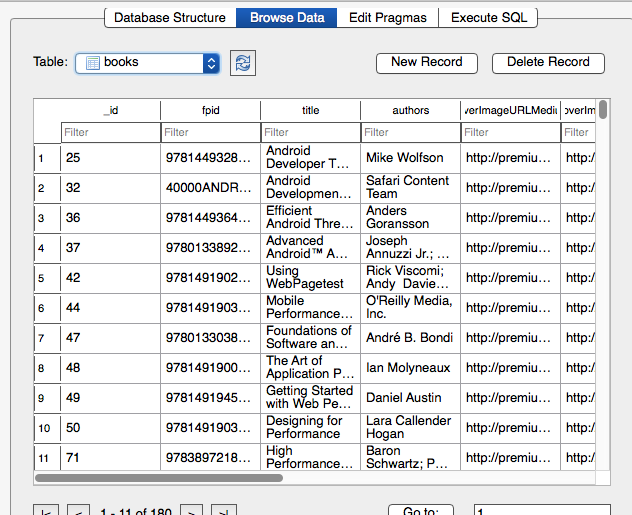 The Kindle databases did not expose any personal information, but you can see the general type of data exposed in another app below. The tricky part about having an encrypted database is finding a secure place to store the key. In the next few sections we'll look at ways to store a key (or other private information) securely inside your app's code. As you might guess, there is no easy solution. When using databases, you also must consider SQL Injection as a threat trajectory. We'll look at this (and others) in penetration testing. Again, none of this data is highly confidential, and would be available from the Kindle app without a password request. The "r" directory contains resources, and were mostly caches from using webviews or analytics information. The data shown above is for a Google weather application, and you can see that I prefer to get my weather in English units. It kind of goes without saying that it is crucial to ensure that all data in these files are either okay to be read by humans without loss of privacy, or are encrypted. It hopefully also goes without saying that storing any crypto keys in these files would not really slow down a hacker. As you might be coming to realize, there really is no 100% safe place to store the key in your application. With a bit of persistence, anyone can eventually read any file in your app. As we have discussed in the last several sections, any file that you install locally on a device can potentially be pulled off the device and examined by a hacker. Running a backup did not expose any of your Java code, but don't think that makes your code immune to examination. Since your .apk file is really just a zip file of your code, hackers can easily change your .apk to .zip and uncompress. 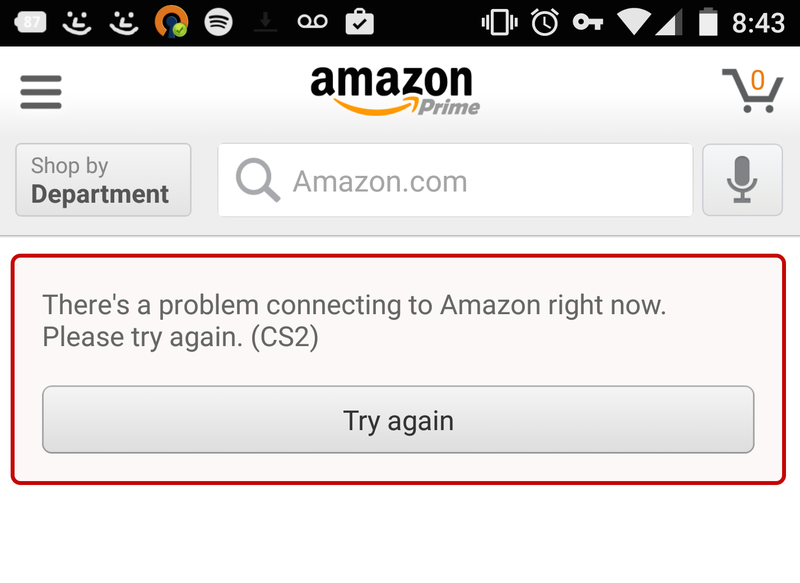 Therefore, simply putting a decryption key, or AWS token, in your code is not a great idea. This is also a vector to steal IP (your code), or to find weaknesses or other exploits in your app. To decompile and read an APK file, you need to pull it onto your computer. The commands below gives you a list of packages. Then you can get the path of the APK in the second line, and the third line pulls the package to your computer. The fourth line uses Dex2Jar to turn your APK into a Java jar file. 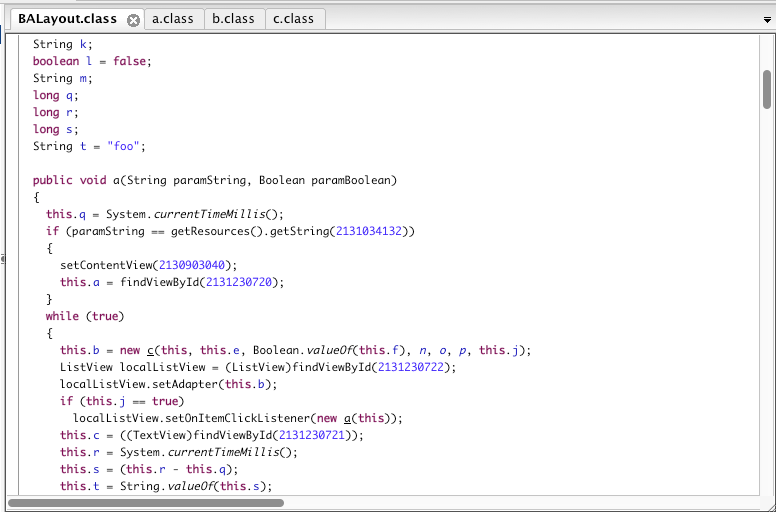 As you can see, this code is nearly unchanged from the raw code in Android Studio. If a hacker wanted to, it would be pretty simple to figure out how the application works, borrow my code, or potentially find an exploit in my application. If I had tried to hide an encryption token here, the hacker’s work would be complete. One quick way to make your code harder to read is to use obfuscation. There are a number of tools that will obscure your code, but Android Studio has ProGuard installed by default. When you enable your application with ProGuard, variables and objects have changed names and it is harder to read the code. (You can view the "Is it a Goat?" app to view the setup I used. There are a number of posts on the web on ways to set up ProGuard—and other obfuscation tools—to configure your obfuscation.) This is not hack-proof, but you are making it harder for the intruder to figure out to reverse engineer or find weaknesses in your application. The variables are now all letters (and reordered to make them harder to resolve), create TheViews is now 'a' and GoatList is 'c.' The code is not optimized or changed a great deal, but by changing the variables to letters from descriptors, the code is harder to figure out (and it’s smaller too!). While your app is not changed, by complicating the logic and variables, you make it harder for others to reverse engineer your code. This is obviously not going to stop a determined hacker (nor will it protect your encryption keys or tokens), but you are making their job harder. In a quick survey of applications on my device, there are many applications that do not take this simple step to obscure their code and make the details harder to read. Your XML files are not safe either. 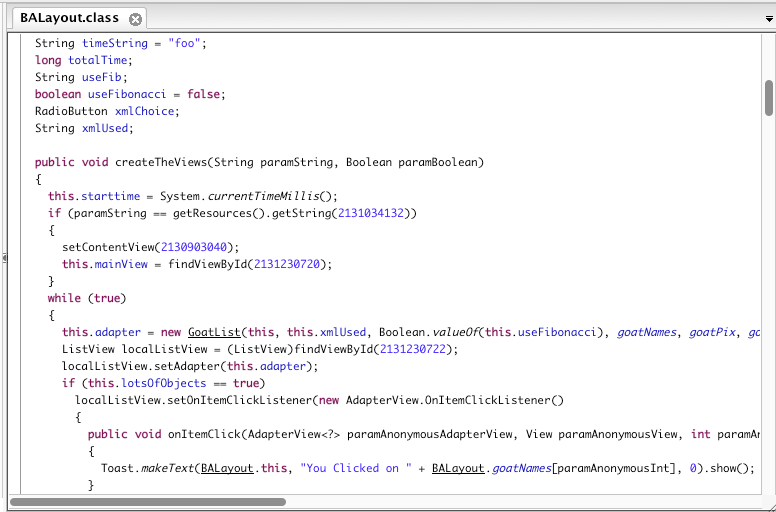 Using apktool, you can decompile your Android app code into Smali, and the XML files are preserved. Obfuscation does not affect these files, so this would not be considered a safe place to hide your secret values. Any password or private information stored in shared preferences is also decoded by apktool and easily read. All of these files are easily read (and this is from a ProGuard protected app). There are additional ways to attempt to hide tokens or keys inside your application. Hiding the data inside an NDK class makes it harder to decipher, but a C+ application can be decompiled as well. To be absolutely positive that your application's data is being stored securely, you will have to ask your users to login at each use (keeping the key in your customer's memory), or connect to a server and retrieve the key from a remote server (keeping the key off the device on a server.) Obviously, this prevents your application from running without a network connection, but if security of the data is paramount it is probably the only way to be 100% certain that no one is reading the data from your app. We've looked at ways to exploit the data stored on the device, or how it is reported in the logs, but can we trick your application to misbehave? Using tools like drozer, you can run different activities and interact with them. This allows you to audit activity behavior under different circumstances. In the above figure, drozer has identified seven activities, four broadcast receivers, three content providers and seven services that are available to external applications for potential manipulation. In general, unless there is a reason that an external process or application should access your application, the count here should be limited. This command will give you a list of all Activities that can be launched without any permissions. In the drozer sample app, the activity com.mwr.example.sieve.PWList appears as an option. By launching this activity, you are able to bypass any authorization requirements, and can see a screen with a list of passwords. In High Performance Android Apps, I discuss in detail how to optimize network connections for speed. In addition to speeding up your network traffic for performance reasons, the transmission of unencrypted data is a common form of data leakage from an application. With the proliferation of Wi-Fi spoofing and other modes for capturing network traffic, it is crucial that all customer (and your company's) private information be sent over an HTTPS connection. Once you have encrypted the data, go back and test with Fiddler as a man-in-the-middle proxy (mitmproxy) to ensure that your HTTPS traffic is sending the expected data, and it is properly encrypted. It is also crucial that your connections are safe from common vulnerabilities. In fall 2014, the Android security team released nogotofail, a suite of tests that checks for SSL security verification, bugs and other attacks that can be performed on apps (or servers) that do not have their SSL connections configured properly. It is named after the nogotofail attack, but also can help you defend against attacks like POODLE, Heartbleed and others. The nogotofail proxy does not attack on every connection, but only a predefined percentage of connections are attacked. When the nogotofail app succeeds in attacking your application, details of the issue are written to the nogotofail MITM log (/var/log/nogotofail/mitm.log), so that you can pinpoint the issue in your app. The Android app will give you similar warnings on your device (through phone vibration and notification). If your application properly blocks the intrusion, there is no notification, but your application may not behave as expected (and it might crash!). application="<app-name>" version="28") Client is vulnerable to Early CCS attack! In Example B, the application allowed an SSLv3 connection without forcing those who can to fall back away from SSLv3. This potentially exposes your app to the POODLE attack. Example C shows an Early Change Cipher attack vector. 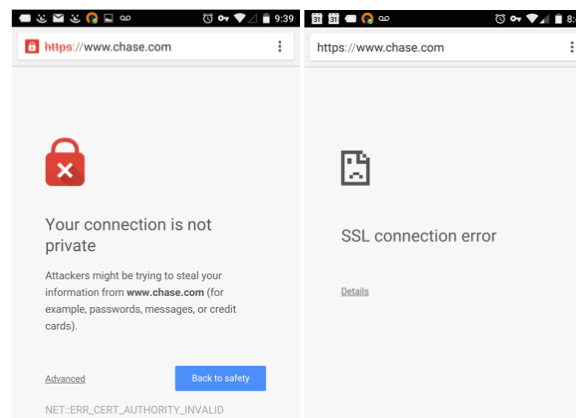 Example D shows an application that connects via HTTP and shares authorization headers over HTTP—obviously not a confidential way to share these credentials. Example E shows an app that still worked with anonymous cipher suites. Other applications would just crash, telling you that the application has closed unexpectedly. From a performance perspective, a graceful fail is the best way to go. Keeping your (and your customers’) data secure in Android is not a trivial matter. We've covered the high level problems with storing passwords and data on a device in the clear. Even apps that attempt encryption face issues. A research paper published in 2013 found that 88% of nearly 12,000 apps made at least one implementation mistake, thereby weakening the security of the data being stored. Nearly 50% of all apps studied use the default Bouncy Castle values, which these researchers find to not be strong enough. The paper linked above lists six rules for secure cryptography. A follow-up blog post lists common ways to fail, and the correct ways to implement the six rules for secure data. Ensuring proper cryptographic algorithms for your app is not something to do at the last minute or without forethought. Strong encryption will ensure that your data stays encrypted and secure from malfeasance. Getting information about how your customers are using your app helps you discover crashes, pain points, usability patterns in a way that you can improve your app. In addition to improving the performance of your app, these SDKs can also tell you about the phone's signal strength, battery level, location (and more). Ensure that the permissions and the frequency of reporting of the SDKs you use is acceptable for your application. When you add an analytics SDK or other third party libraries into your mobile application, it is your responsibility to ensure that the SDKs are doing what they say they are doing. Many of the reported Android malware attacks have been a result of infected SDKs/libraries added to legitimate applications. These added libraries/SDKs are essentially subcontractors on your project. They do provide a required function, but you (or your company) ultimately bear responsibility for how every facet of your application behaves (see Trust, but verify for an example of an SDK leaking customer data). Trust what your SDKs say, but also take some time to verify that what they say is true. When your customers download your application, there is a mutual trust that is inherent. Your side of that trust is to protect the data of your customers. While it is impossible to ensure that your application is 100% secure, the steps outlined above are a good first primer into discovering any flaws in your Android application. My hope is that you will use these exercises as an introduction into Android security, and further examine your app to make sure you are protecting your data in a secure way. If you are interested in making your app run faster, and crash less, look at my book, High Performance Android Apps. Article image: Robot Hand (source: M. Levin, University of Washington (CC BY 2.0)). Doug Sillars is the performance outreach lead at the AT&T Developer Program. He has helped thousands of mobile developers apply performance best practices to applications. The tools and best practices developed at AT&T help developers make mobile apps run faster, use less data and less battery. He lives on an island in Washington state with his wife, where they homeschool their four children.